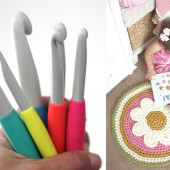 The Caron ABC’s and 123’s Crochet Pillows were another one of my favorites from Yarnspirations Modern Nursery Lookbook! I couldn’t resist working up a Z, O, and E for my daughter 🙂 Thankfully her name is short because although these letter patterns are fairly simple, they do take some time to create. This would be such a fun gift for any kid and especially perfect a baby room! You could even use them as wall decor. Possibilities are endless when you have the pattern for the whole alphabet! Aren’t you loving this color combo?! It’s the fabulous Caron Simply Soft in Lavender Blue (Z), Strawberry (O), and Blue Mint (E). You can shop all these colors on Yarnspirations.com. The patterns are written in charts but don’t let that intimidate you! You really only need to know how to make single crochet stitches. You will make two of each letter and then a gusset which is a long strip that goes around the edges of the letters. The second time you crochet the letter goes much quicker than the first time 🙂 The gusset part is a great for when you want to watch TV and crochet. It is repetitive and relaxing! To put the pieces together you will SC along the edges to attach the gusset between the letters. I stuffed my letters pretty tight. I like them full and fluffy! 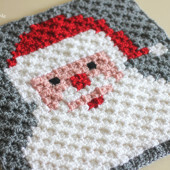 And keep your eye on The Crochet Crowd as they will be coming out with video tutorials on how to do each letter! Zoe is very excited about having her name in pillow letters! Get the whole alphabet HERE! Could you give finished dimensions to your pillows. Started mine tonight and it seems very small. How many balls of Caron are needed for each letter please, in particular the H and J. I can only see how many listed for the A, B and C.
Is there another working link for the patterns? Each link shows invalid. Yes, I wanted to see the patterns but the link does not work. 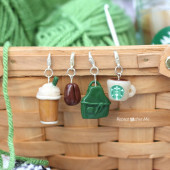 I don’t know if you’re still looking but yarnspiration just redid their site so the link changed. 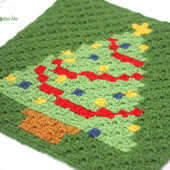 Just type ‘crochet abc” in the search bar that comes up and it’ll go right to it. The pattern says to use a 3.75 hook but you seemed to have used a 5.00 hook. Did you need more than 2 balls of yarn when you used a bigger hook?